Though I don't work the night shift, I'm an avowed night owl. Some of my best writing happens between the hours of 1 a.m. and 4 a.m. (when most folks are in full REM mode). But indulging my nocturnal tendencies without risking my health takes a little bit of strategy. 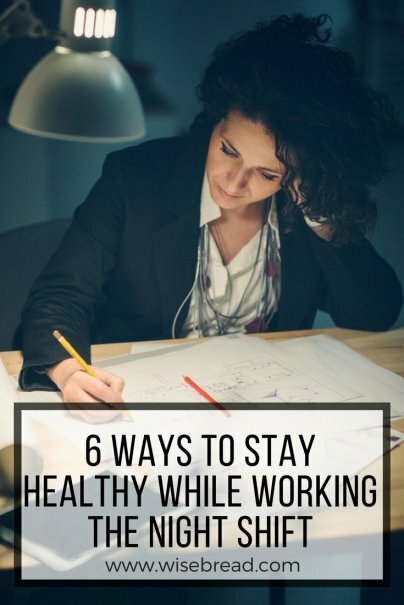 Whether you're working the graveyard shift, or just a stubborn night owl like me, here are six ways to stay healthy when you're staying up all night. Sure, friends and family may know you work the night shift, but that doesn't stop the endless stream of daytime text messages, emails, and robocalls. To protect your sleep, consider going dark during daylight hours. Silence your phone and turn off all audible notifications.